40% OFF! 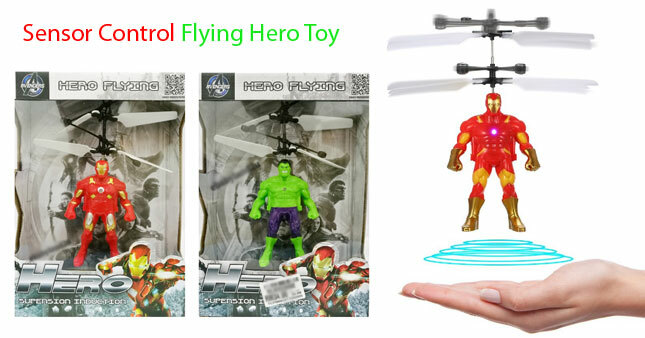 Sensor Control Flying Hero Toy worth Rs. 1,850 for just Rs. 1,100! Shop for your favorite flying hero from Avenger series. The flying hero comes with the suspension induction & hand detection capability. This flying hero can be recharged easily with the USB cable. Just charge for 15 minutes and have fun with the flying Hulk. Warning: Due to the fast blade movement, this toy should be used under the supervision of an adult.